Washington is considering shifting the deadline for troop its withdrawal from Afghanistan to make sure the “progress” from over 13 years of US operations in the country “sticks,” the new US Defense Secretary said during a surprise visit to Kabul. 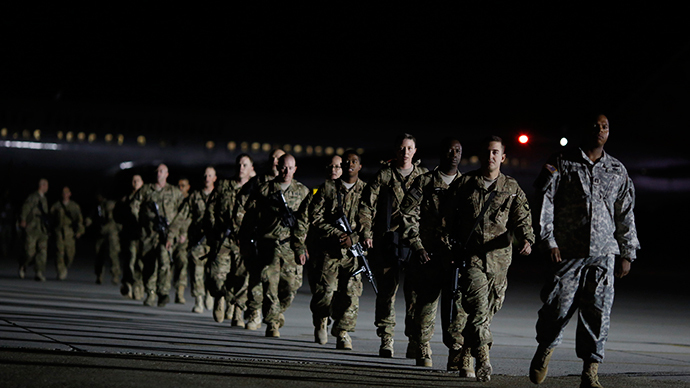 Under the current arrangement, the 11,000-strong US force should be cut to roughly 5,000 by the end of 2015, before pulling out altogether the following year, when Obama will leave office. By the end of 2016 the US military presence is expected to shrink to a “normal” embassy security contingent. The US commander on the ground, General John Campbell, has previously suggested slowing the drawdown further. 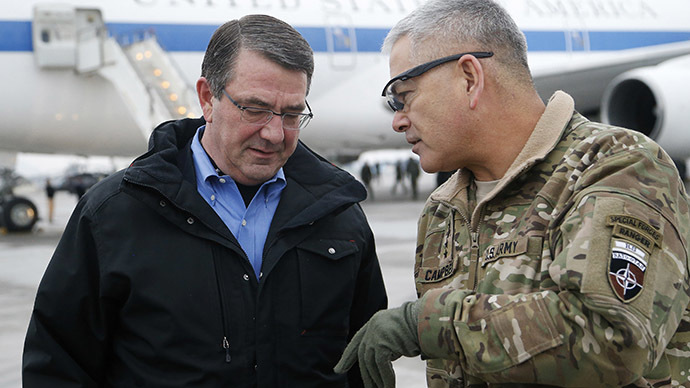 But while traveling with Carter on Saturday, Campbell said that his focus for now was sustaining enough US trainers, advisors and counter-terrorism forces in Afghanistan. “Right now I think we’re comfortable looking at '15 and '16,” Campbell told reporters. 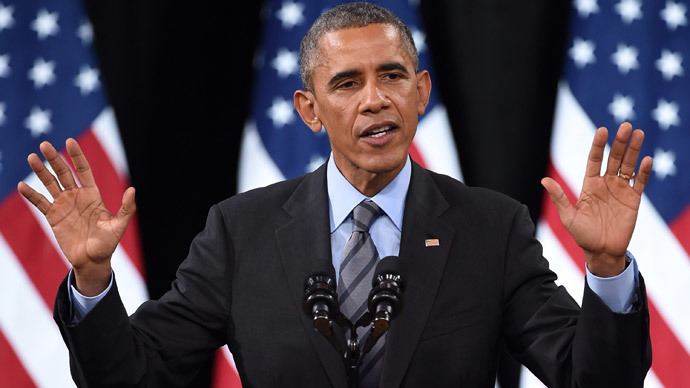 Ghani, however, told CBS' 60 Minutes last month that Obama should reconsider the 2016 withdrawal deadline, citing security concerns. Paving the way for Ghani’s visit to US, Carter said that counterterrorism is “continuing preoccupation” of his unannounced trip to Kabul, while “rethinking the details of the counterterrorism mission and how the environment has changed [in Afghanistan]” is a priority for both countries. With the rise of the influence of the Islamic State in the region and the pace at which they are attracting new recruits, Cambell for his part noted that some former Taliban commanders have already “rebranded” themselves as fighters for the Islamic State. 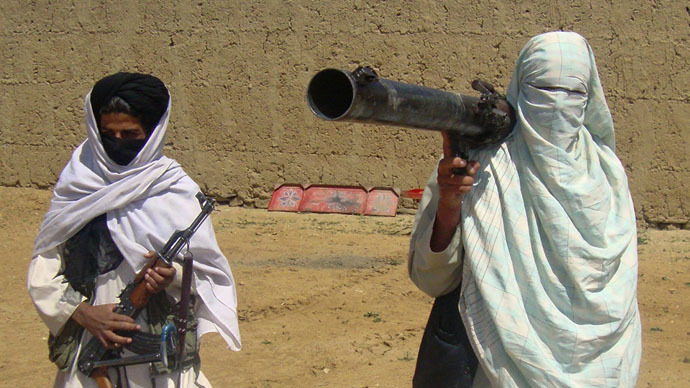 Talks with the Taliban stalled after the US focused on withdrawing its troops from Afghanistan after America’s longest-ever overseas war, which began soon after 9/11. At the height of the US invasion of Afghanistan, some 130,000 US and NATO troops participated in the operation. Last year the mission wrapped up its combat operations against the insurgency. A contingent of over 11,000 US troops remained to train Afghanistan’s 350,000 soldiers and police.